Coleslaw makes me happy. Shame most of the store bought ones are so bad for you. I wanted to make a healthy one to go with Chipotle BBQ Pulled Pork. 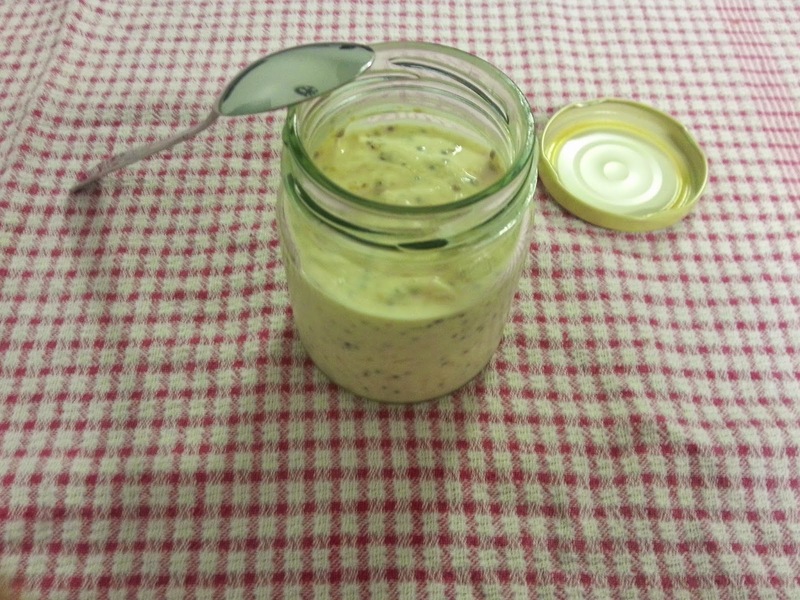 I remembered using a mustard and sour cream sauce with a pork fillet and coleslaw years ago and when I read about the South Carolina tradition of using mustard sauce with pulled pork, I knew I had to try the combination. This coleslaw is served drizzled with the sauce, rather than having mountains of sauce/mayo stirred through it, as I have seen most coleslaws do. This lets you control just how much sauciness you want, and I think makes it a little different. I hope you enjoy this as much as I do. Chop all of your coleslaw ingredients finely (excepting the corn of course). Mix. Combine the sauce ingredients and stir. 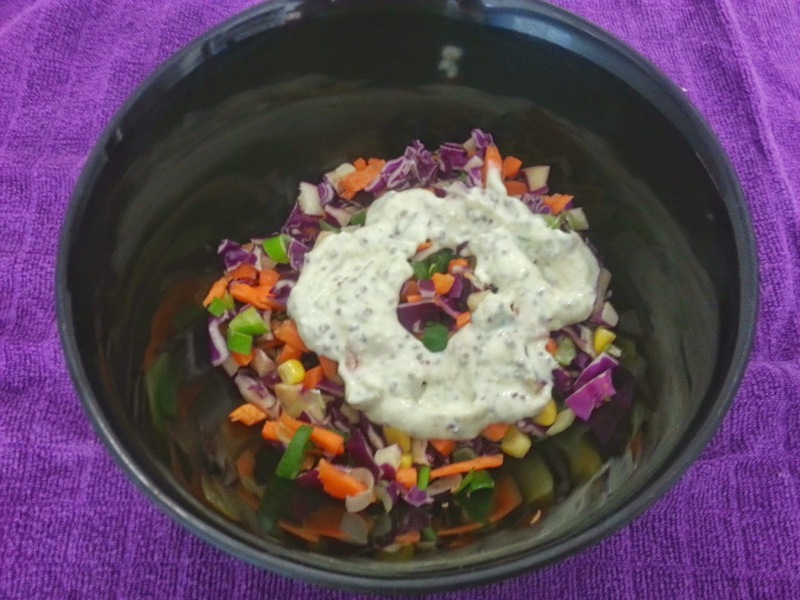 Serve coleslaw drizzled with sauce. Yum. This took almost no time, made heaps and is very versatile. The sauce would also work over a pork chop or chicken breast. It is something a little different and I’m very happy with it.